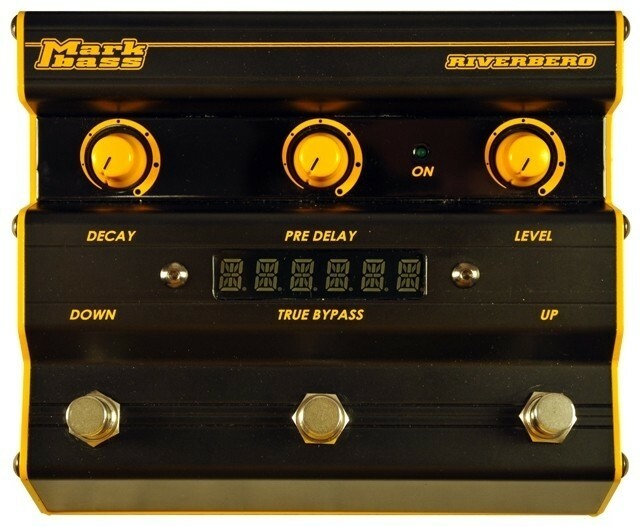 RIVERBERO offers natural-sounding reverb that can be fine-tuned with pre-delay and decay controls. The stereo presets include spring, plate, and room reverbs, all identified on the display and modifiable in real-time. 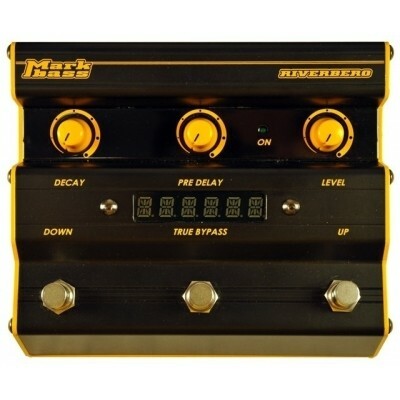 But the USB connection allows you to modify the parameters on your computer using the supplied Markbass software, and then store your favourite settings in the pedal to have at your disposal whenever you need them! Like all our pedals, this unit features true bypass circuitry.